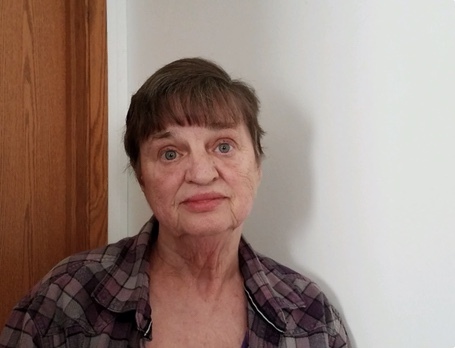 Marcella Rose Poppe, 67, of West Terre Haute passed away at 8:21 a.m. Monday November 26, 2018 in her home. She had been employed as a certified nurse assistant with the Sisters of Providence at St. Mary of the Woods for many years prior to her illness. She was born February 27, 1951 in West Terre Haute to Floyd Cooper and Barbara Downing Cooper. She was preceded in death by her first husband Albert Cox and her second husband David Poppe. Survivors include: two sons Mark Cox and Matt Cox; a daughter Paula Snavely; three grandchildren Madelyn Cox, Jeremy Snavely, and David Snavely; three great grandchildren; six brothers Rick Cooper, Lonnie Cooper, Jim Cooper, Bobby Cooper, Floyd Cooper Jr., and Billy Cooper; a sister Florine Snodgrass; her dog Holden; and many nieces and nephews. She was also preceded in death by her parents; two brothers Ronnie Cooper and Terry Cooper. She loved working in her yard. Funeral services will be 1:00 p.m. Friday in Fitzpatrick Funeral Home with Pastor Rick May officiating. Burial will be in New Providence Cemetery. Visitation will be 11:00 a.m. until service time Friday.